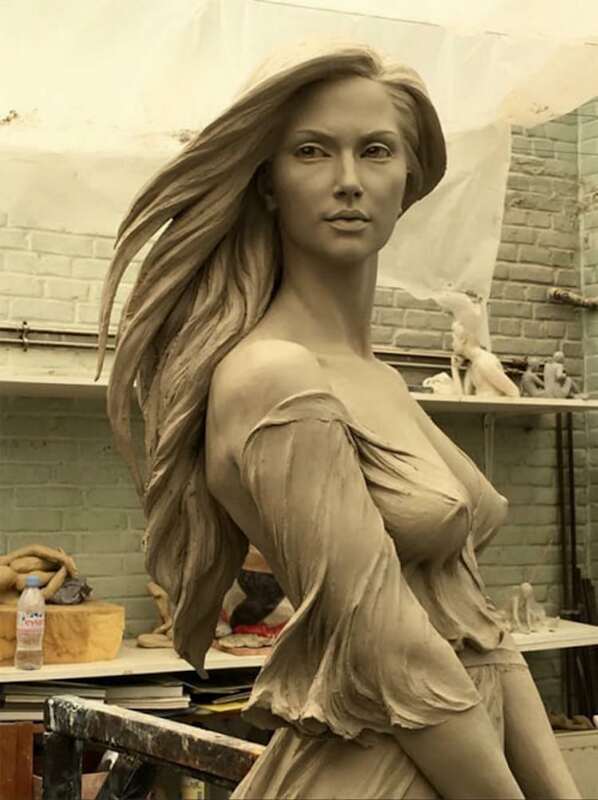 Chinese artist Luo Li Rong creates realistic sculptures that convey the human figure’s beauty and grace. 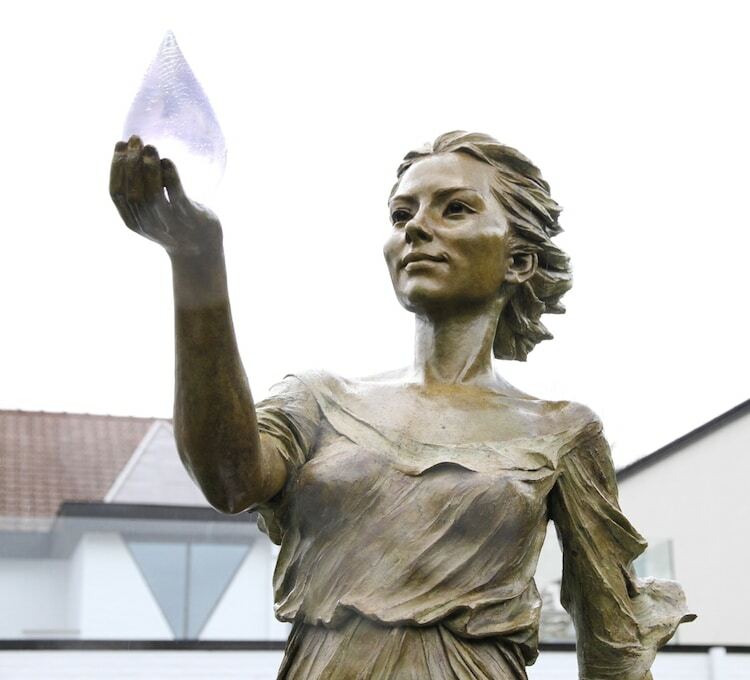 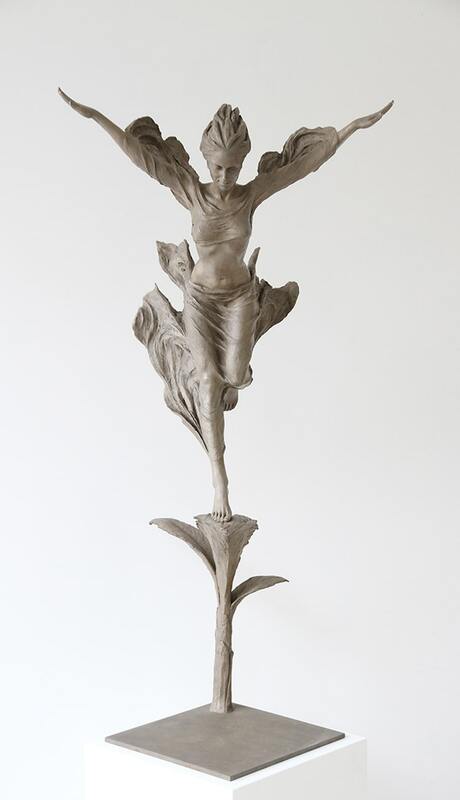 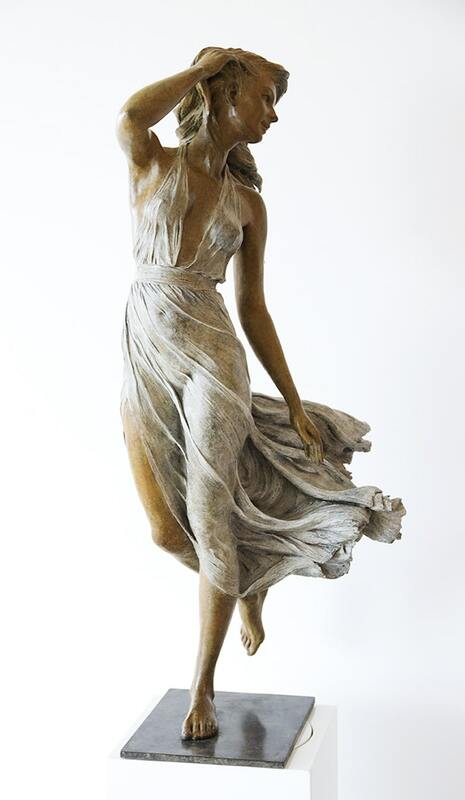 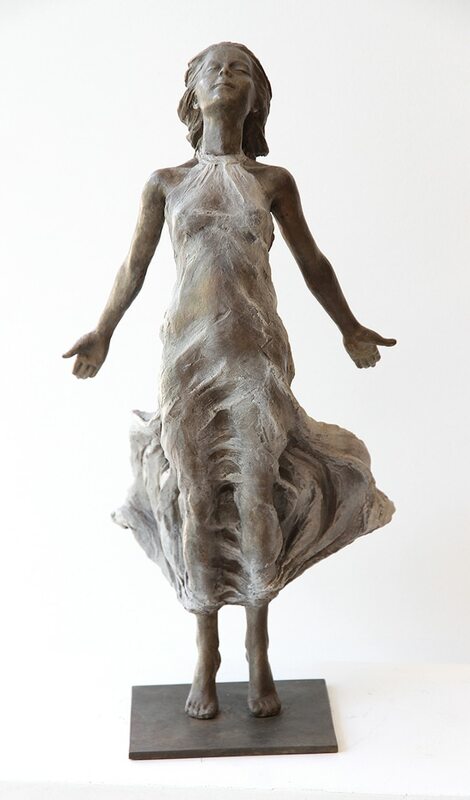 Her life-size creations, mainly in bronze, feature women in motion. 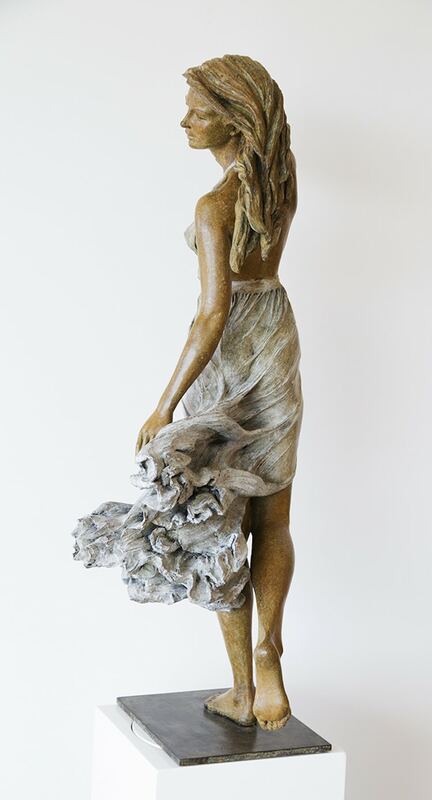 They strike elegant poses that elongate their bodies with an apparently wind-swept appearance; their hair and clothing seem to be moved by a gentle breeze. 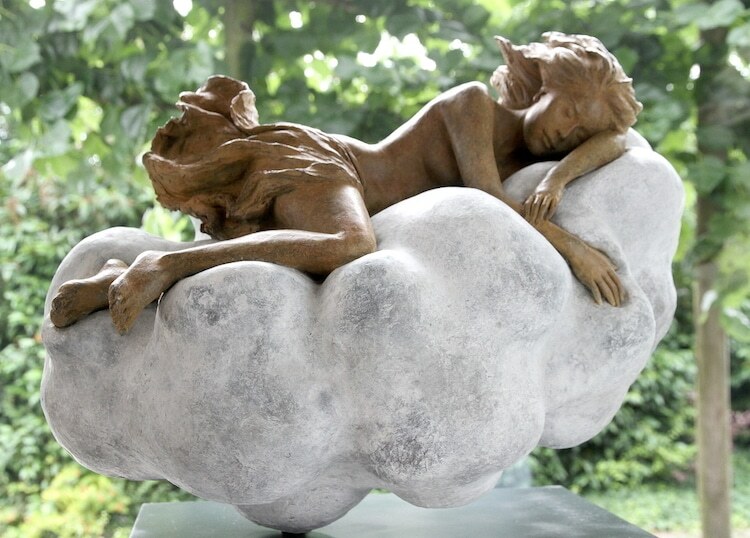 This creates a compelling dichotomy; while there is an impressive dedication to realism — Rong is careful to detail every delicate fold of the skin— her work also has a fantastic element, as her characters reside on clouds and hold raindrops in their hands. 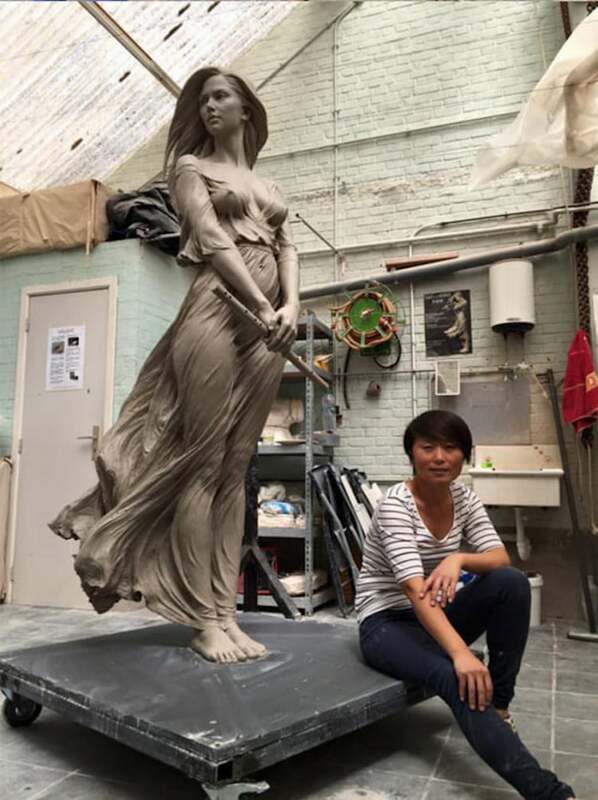 Since an early age Rong has been pursuing sculpting. 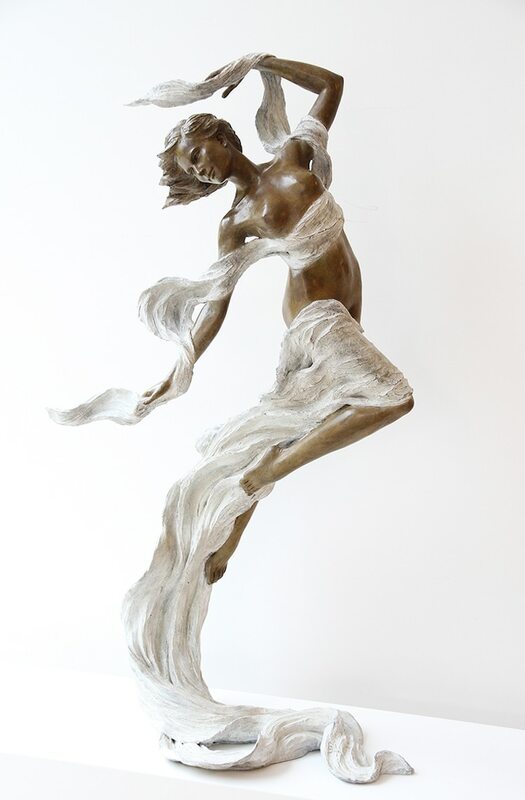 She studied art at the Beijing Academy of Fine Arts, then under the tutelage of sculptor Wang Du, and later she “immersed herself” in figurative sculpture techniques used in the Renaissance and Baroque periods by European artists. 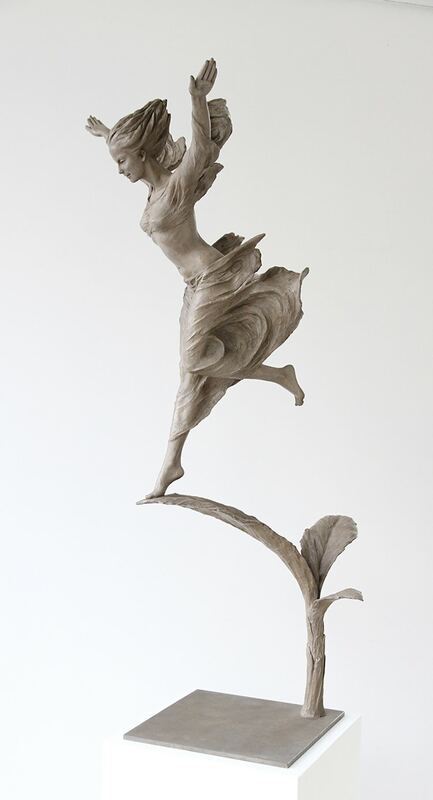 In Rong’s contemporary works, their sense of femininity plays a defining role, and the stylistic guidelines help carry on the tradition of realistic art sculptures.